At Alutiiq Hearing we can test the hearing of newborns through adults with a variety of testing techniques. Cindy Weber is a licensed Audiologist Anchorage patients trust and continually recommend to family and friends. 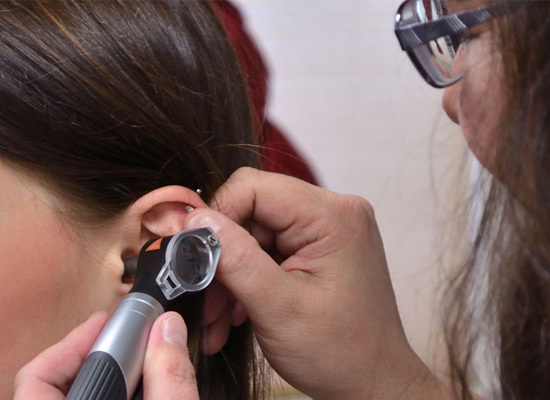 As owner of Alutiiq Hearing Services she provides personalized attention with one-on-one consultations to ensure that every patients hearing concerns are answered. We provide videonystagmography (VNG) testing to evaluate patients’ balance difficulties. The goal of our tinnitus program is to evaluate and help you habituate your tinnitus. We think about hearing aids differently. We don’t feel that hearing aids are a one-size fits all medical device. As Anchorage’s hearing and tinnitus specialist, Cindy is here to evaluate you for the best hearing aids, tinnitus treatment or other ear related services you may need. For your convenience, our office is open on Saturdays by appointment only. We are also a participating provider for most insurance companies.